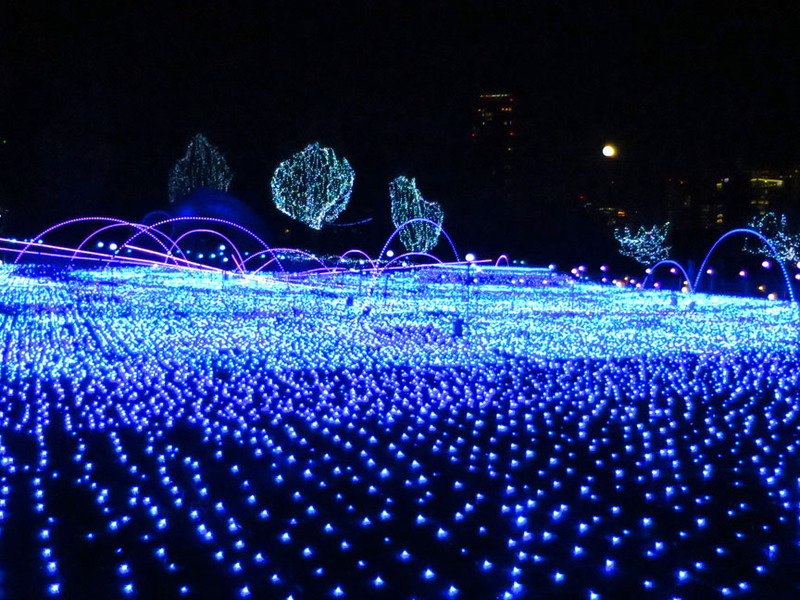 Home » Awesome Stuff To Do » 2013 Tokyo Illuminations! Once again, the holiday light displays in Tokyo were totally over the top! Tokyo Midtown in Roppongi led the way, with another lovely abstract creation set to a dreamy soundtrack. This year, the lights leapt free of the ground in glittering arcs, bounding across the ever-changing field of blue. Since couples on romantic “illuminations” dates outnumber families by a wide margin, I’m not sure what Shiodome management was thinking when they screened a Disney-esque animated short movie (with fish and turtles) on the walls behind the flashing lights that rocked in time to the soundtrack, but fortunately it didn’t detract too much from the gazillion-light extravaganza. And VenusFort in Odaiba (that eerie Caesar’s Palace lookalike!) 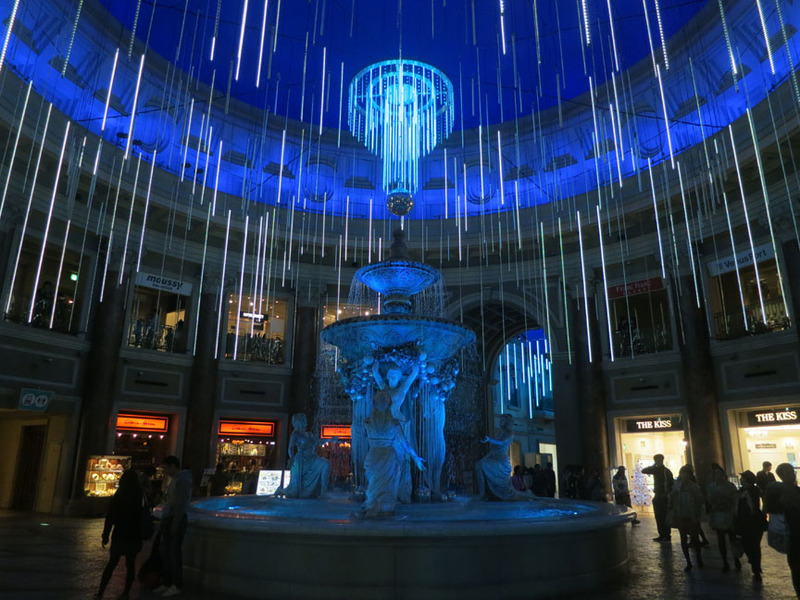 actually had a mesmerizing display of “rain” cascading down around one of their Italianate fountains as the changing “sky” cycled through its blue twilight hour. 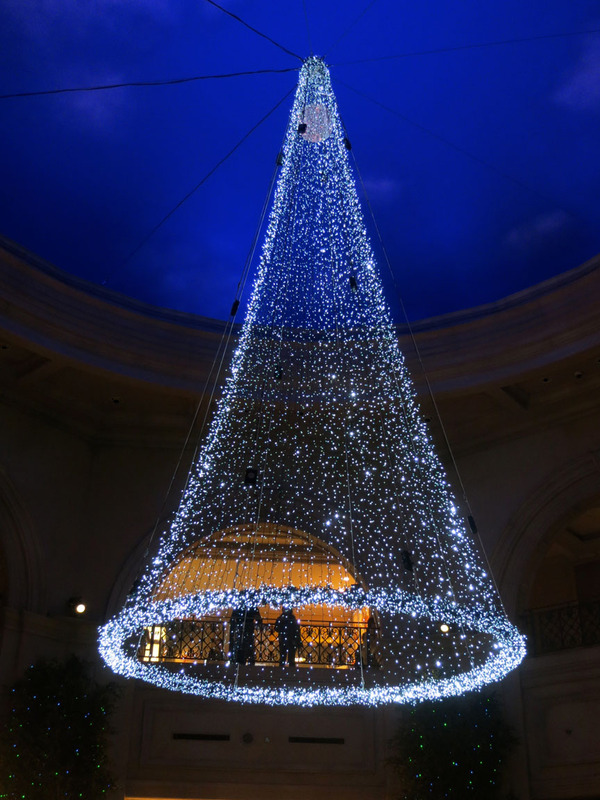 In the next courtyard, a starry tree hovered over holiday shoppers. 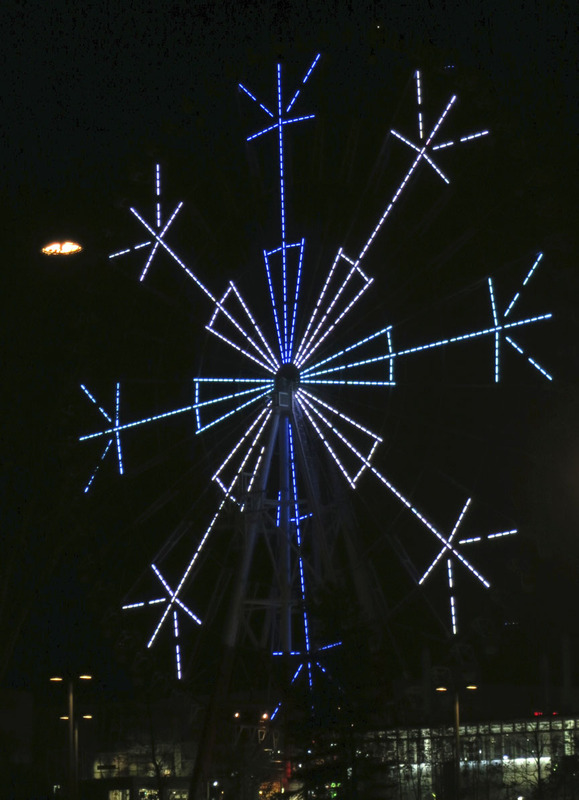 Even the Ferris wheel outside Zepp Tokyo gets into the act, with occasional snowflakes! If you’d like to see how this year’s Illuminations stack up against previous years, check out All Is Illuminated (2011) and Holiday Lights Just Don’t Get Any Better Than This! (2012). Astounding. Beautiful. 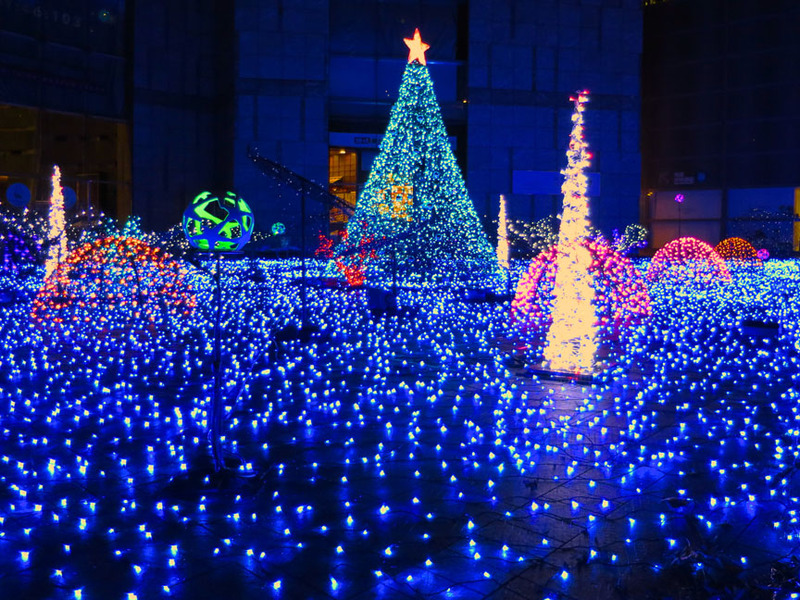 Tell me, did Japan have an indigenous festival of lights at this time of year before it adopted “Christmas”?